On Your marks, get set, go! 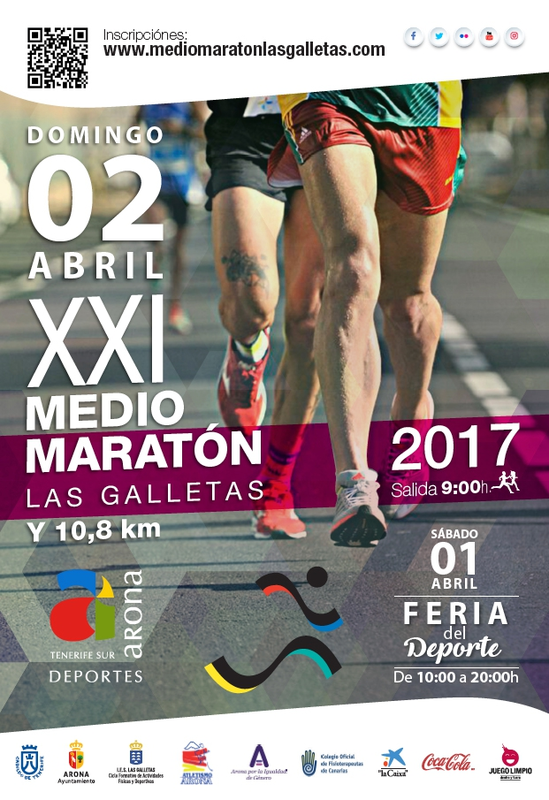 The registrationis now open for the Las Galletas half marathon on the 2nd April. Whether you want to join in on the race or cheer from the sidelines, it is sure to be a lovely day out with a lively atmosphere at this pretty coastal town. To register go to www.mediomaratonlasgalletas.com or visit the Sports Complex “Jesús Domínguez El Grillo” in Los Cristianos. There will also be a sports fair from 10am until 8pm the day before 1st April.